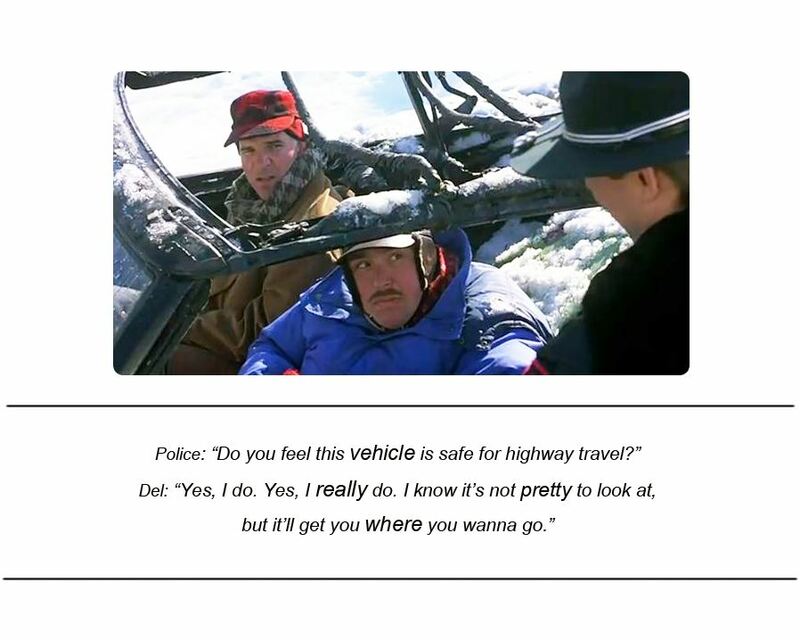 I first watched Planes, Trains, and Automobiles (1987) many, many years ago. Steve Martin and John Candy are a hilarious duo in this screwball comedy road movie. I’ll watch Steve Martin in anything just because I know it’ll be great (although Shopgirl might be the exception). This movie was written and directed by John Hughes, who is also responsible for Sixteen Candles, Pretty in Pink, The Breakfast Club, Ferris Bueller’s Day Off, Christmas Vacation, Home Alone, and Miracle on 34th Street, among many others. I had to list all of those because they are classics – John Hughes may very well have been a wizard. 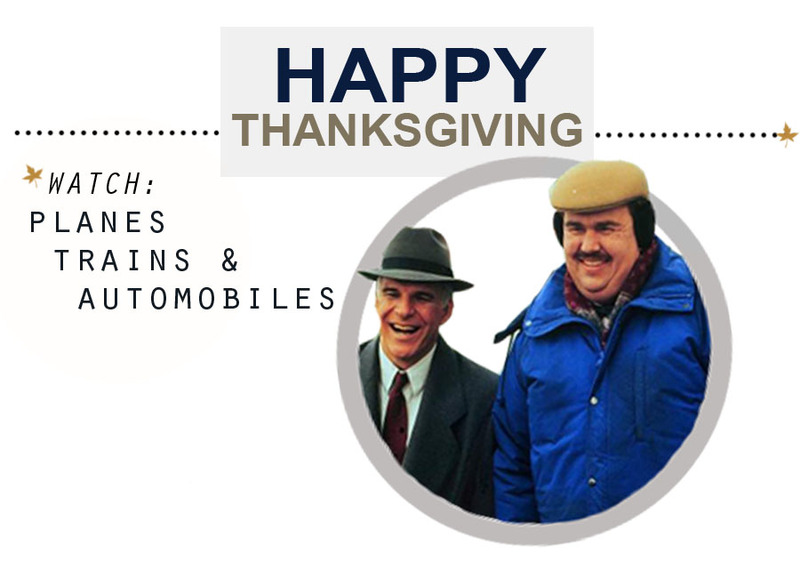 Planes, Trains, and Automobiles follows a high-strung executive (played by Steve Martin as Neal Page) and a good-hearted but clumsy salesman (played by John Candy as Del Griffith) as they try to get Neal home before his family’s Thanksgiving dinner. Of course, the two get in a lot of trouble on their road trip back to New York City, and the misadventures and lessons learned along the way are the golden nuggets of the film. Because it’s been a while since I’ve watched this movie, I intend on making time for it this week. Over the Thanksgiving holiday, I can’t wait to kick back and watch this very entertaining movie with hot chocolate in hand and popcorn on lap. There will probably even be some leftover turkey and mashed potatoes close by. It’s hard to beat curling up by the fire and laughing with loved ones. What are you watching this Thanksgiving? I laughed, I cried, I was inspired. 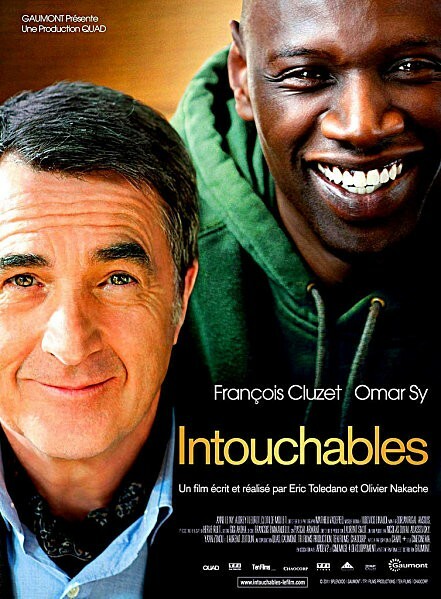 I can honestly say that a movie hasn’t moved me in a long time like The Intouchables did. When I wasn’t smiling, I was laughing. Really hard. What I love about this movie is that it gives you a glimpse into two very different lives. However, despite the differences two seemingly opposite people may have, there may still be similarities if you look close enough, whether it is through senses of humors, outlooks on life, or the way relationships are valued. The movie is based on the true story of Abdel Sellou and Philippe Pozzo di Borgo.